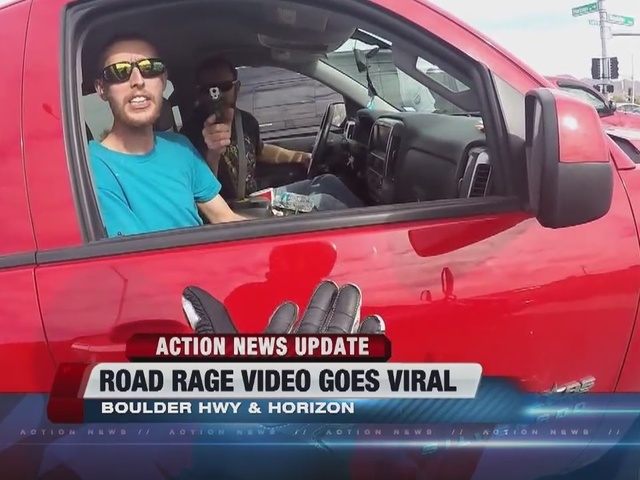 LATEST UPDATE: The man behind the viral video released the first part of the confrontation after criticism of what led to the truck driver pulling out a gun. The driver of the truck is also speaking out and telling his side of the story. WATCH THE FULL VIDEO BELOW. WARNING: IT CONTAINS PROFANITY AND VIOLENCE AND MAY BE OFFENSIVE TO SOME VIEWERS. 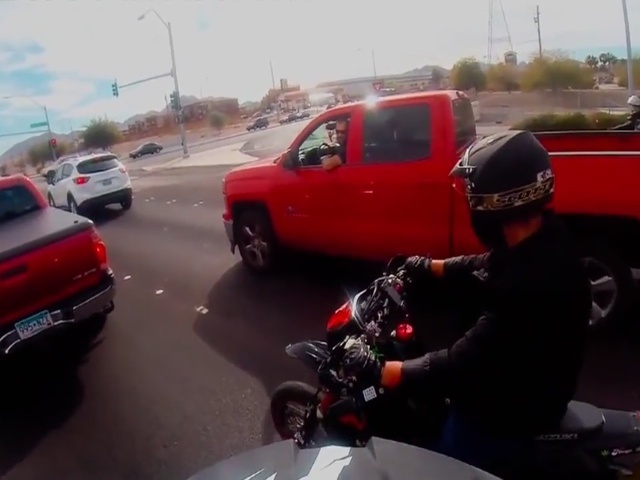 UPDATE: Henderson police say that the driver who pointed a gun at a motorcyclist has been identified and is cooperating with the police. According to the Henderson Police Department, the driver gave his version of the story to police on Tuesday morning. He was not questioned and no charges have been filed at this time. The police department is working with the district attorney's office to determine if charges should be filed. The name of the driver was not released. A valley man is recovering after one of the scariest encounters of his life. 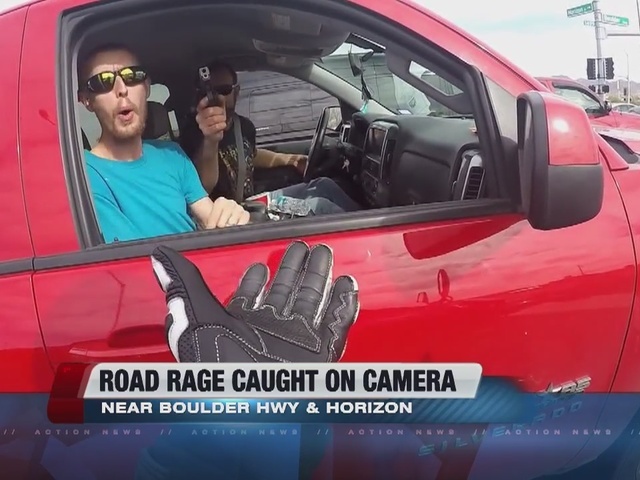 GoPro video shows a truck driver pulling out a gun on a motorcyclist at a stop light near Boulder Highway and Horizon Drive. The man wants to remain anonymous. The full video, 3:30 in length, shows a group of bikers riding down Boulder Highway. It appears the driver of the red truck flips off the bikers after one of the bikers went off into the dirt road. 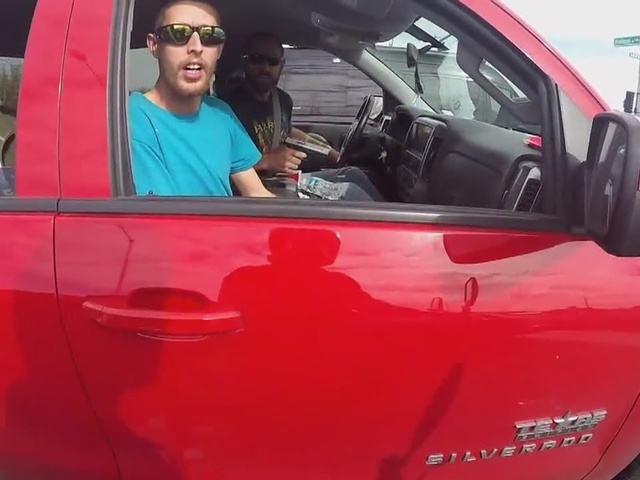 Then, the man behind the camera confronts the people inside the red truck by tapping on the passenger side window. This is when things escalate. The three men inside the truck can be heard yelling explicit words. 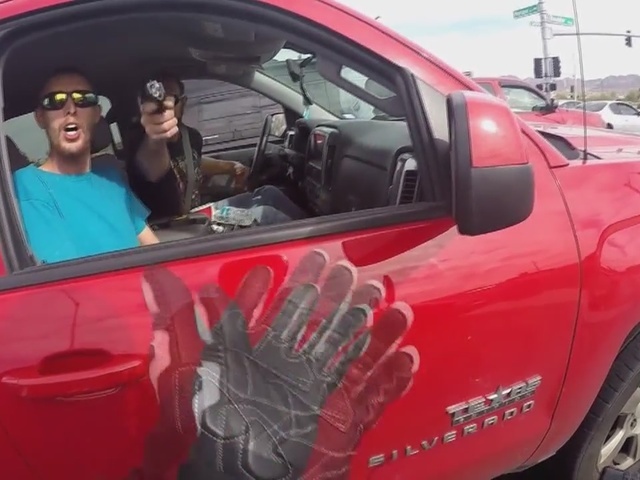 The driver of the truck waves and points his gun at the biker. The biker can be heard saying, "Take it easy. I didn't do anything!" This confrontation goes on for about a minute and a half. Action News spoke with the man behind the camera. "This was literally the first and last time that I will ever go up to somebody's window and confront them," he said. "I could have ended up dead. 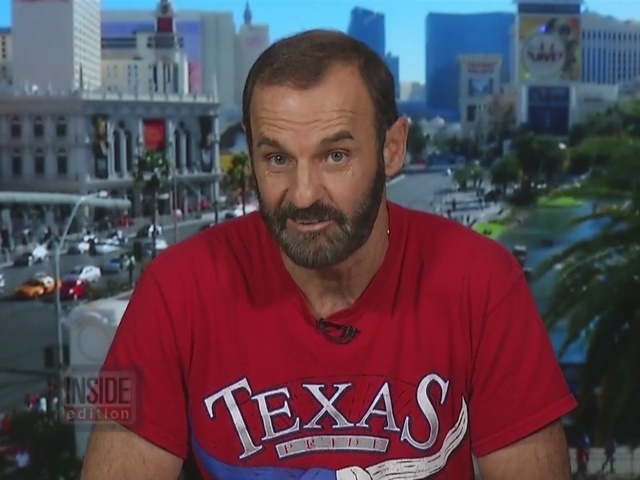 I have a wife and kids that I want to come home to." The unidentified man goes on to say he understands he was in the wrong as well. "I don't know what I was doing," he said. "I don't know what I was thinking. I was freaking out. The take away from this is, the fact that you should never go up to anybody's vehicle because at the end of the day, you never know who you're going to deal with. No matter how big and bad you are or how much weight you lift, there's always somebody that's bigger and 'badder' than you are that will put you in your place real quick." Henderson police are investigating this incident. They might issue a warrant for arrest for the man driving the red truck. The plates on the truck were from Texas.